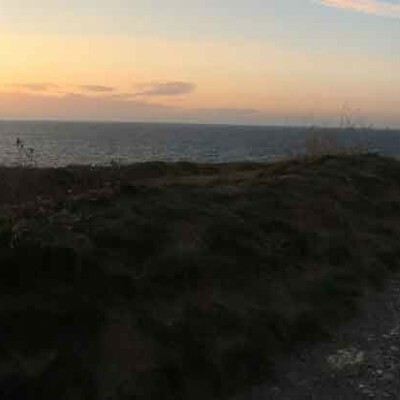 We first started going on campervan adventures, in a rusty old VW T4 camper purchased off eBay. It wasn’t too long before we realised that a drive-away awning would make things a little more comfortable. Back in the day, we bought a 3 metre x 3 metre Outwell awning. Again, from eBay. This absolutely revolutionised our campervan trips! The extra space that an awning provides makes life so much easier. You can set up your kitchen in the awning so the camper doesn’t smell of your fried breakfast all day. You can use it as additional dining space and when the weather’s being ‘all UK’ on you, it provides a great additional space to relax in (out of the rain!). It’s not just additional living space that a drive-away awning provides. Rather than packing up all your camping gear each time you go for a drive, you can just throw it in the awning, zip it up and head on out for the day. We have dogs, so to have somewhere to dry them off before entering the camper is a God send as well. But when does the extra pain of erecting an awning begin to pay off in terms of increased comfort levels? Our previous awning was a traditional ‘pole and peg’ set up, with a separate groundsheet. Once we’d rocked up on a campsite, we could have the awning up and attached to the camper within about 40 minutes. Our rule used to be; only bring the awning on anything more than a single night trip. Drive-away technology has moved on somewhat in recent years! 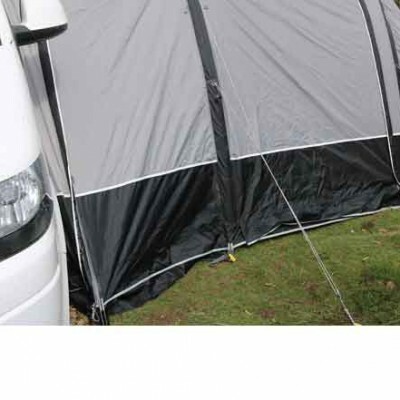 You can now buy inflatable awnings, like Vango’s Kela range. These can be erected far quicker than traditional awnings. Vango claims that some of these can be erected in as little as 8 minutes. In reality, and with a little practice, it’s more like 15 minutes to attach the awning to your campervan and inflate it and peg it out. 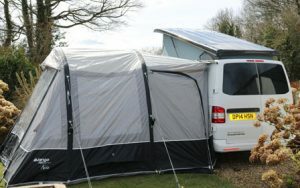 Inflatable awning systems have been a game changer for campervan trips. When you can get one erected in 15 minutes, it means it’s well worth the effort for the additional living and storage space, even when you’re on a one night trip. 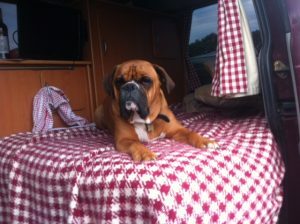 When Does an Awning Make Sense on a Campervan Trip?